Just a day after Prime Minister Justin Trudeau spoke out in Paris in support of a free press — an institution he said needs to be "free-thinking, independent, rigorous, robust, respected" — Canada's finance minister gave a key speech in Beijing behind closed doors. Journalists were barred from listening to Finance Minister Bill Morneau's speech Monday because "the Chinese officials speaking at the dinner have asked that it not be open to media," said Sarah Kutulakos, executive director of the Canada China Business Council (CCBC), the host organization for the event. 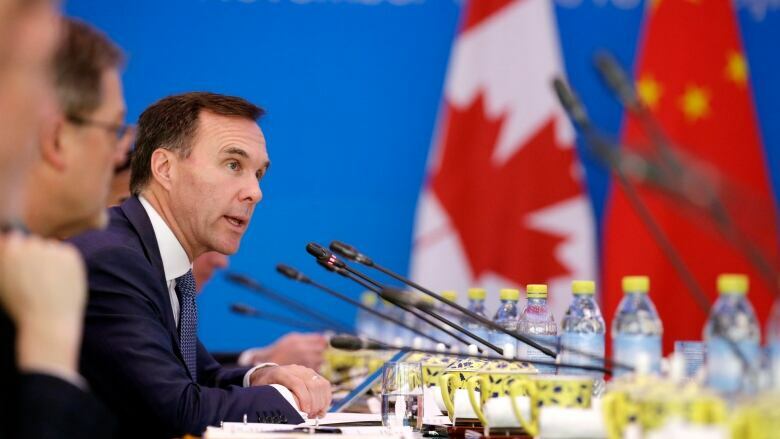 Morneau was in China to launch talks aimed at increasing bilateral trade with Canada. Along with Trade Diversification Minister Jim Carr, Morneau spent the morning meeting with high-level Chinese government officials. The Canadian ministers held a short news conference before the main public event. The CCBC represents hundreds of Canadian corporations that work in China. Repeated media requests to the CCBC for permission to cover the speech were turned down before the dinner. 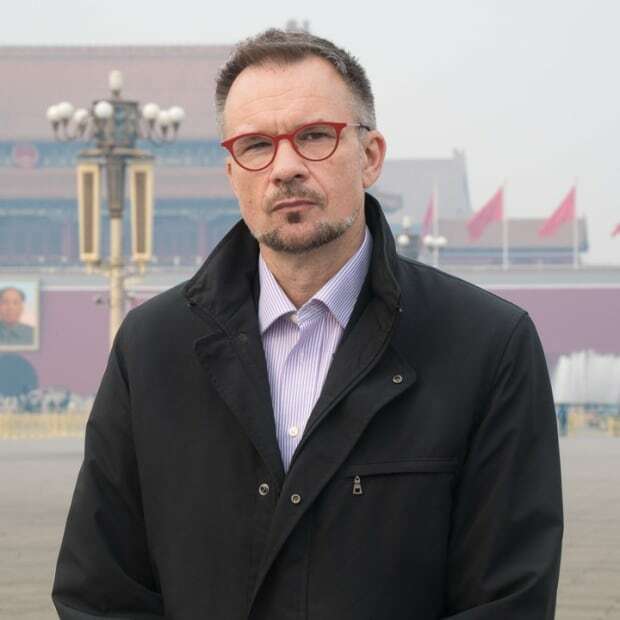 In an email Tuesday, Kutulakos called the ban a "misunderstanding," adding that Chinese officials hadn't "directly" asked that media be excluded. She did not explain what that meant. Canadian government and embassy representatives were also aware that media outlets were to be kept out of the dinner. In a statement from Morneau's office on Tuesday, press secretary Pierre-Olivier Hebert said the minister's office was "concerned" about reports of media not being allowed access. "Minister Morneau's office was not consulted or informed of that decision" because logistics were handled by the CCBC, he said.